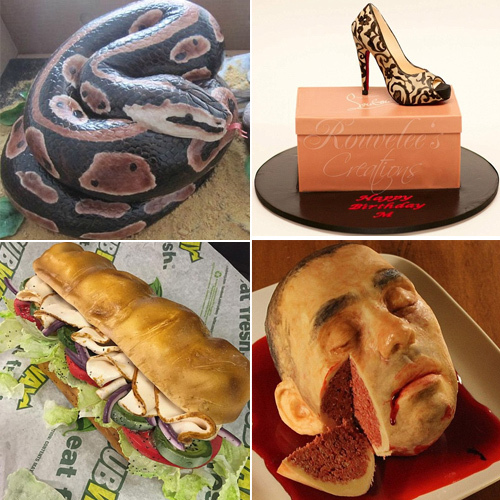 Spectacular cakes that look alarmingly realistic. These cakes are some of the best food optical illusions. From a bizarrely accurate replica of a Subway sandwich and a silver can of Diet Coke to a bowl of meatballs and a severed human head, these cakes are some of the best food optical illusions.